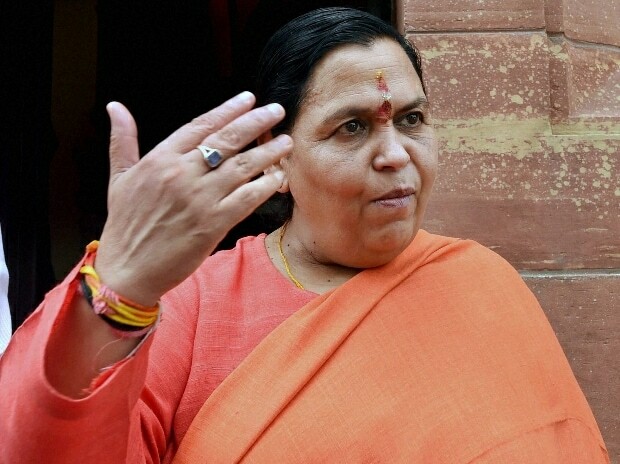 Union Minister for Drinking Water and Sanitation Uma Bharti has advocated the construction of a Ram Temple at the disputed site in Ayodhya, and said she is ready to provide any assistance required from her end. Calling the construction of the temple as her "dream", Bharti told ANI, "I have actively participated in Ram Janambhoomi Andolan. Hearing of a case is also underway in connection with it on me and LK Advani Ji, and I am proud of it. The construction of Ram Temple is my dream and whatever initiative is required from my end I am ready for it." Amidst demands for an ordinance to permit the construction of the temple before the Supreme Court pronounces its judgement in the Ayodhya title suit, Union Minister PP Chaudhary opined that a law can be made in case of judicial delay. "Ram Mandir should be constructed, the case is in the Supreme Court and we want it to be decided quickly. I can't say about the government, but my personal opinion is that if there is a judicial delay then a law can be made," he said. On October 29, the apex court had adjourned the hearing of the case until January 2019. The court was hearing petitions challenging the Allahabad High Court verdict of 2010, which stated that the disputed land in Ayodhya should be divided into three parts for each party - the Sunni Waqf Board, the Nirmohi Akhara and Ram Lalla. While the matter is pending before the top court, a number of spiritual leaders have called for the immediate resolution of the matter, and have even claimed that construction of the temple will begin in December this year. On Saturday, Vishwa Hindu Parishad leader Sadhvi Prachi had said that December 6 must be fixed for the construction of Ram Temple and Hindus from all over the country must be called to Ayodhya for it. Sadhvi's remarks came a day after Rashtriya Swayamsevak Sangh (RSS) general secretary Bhaiyyaji Joshi said that a movement similar to the one initiated in 1992 will be carried out, if necessary. The Babri Masjid in Ayodhya was demolished on December 6, 1992, allegedly by a group of Hindu activists, claiming that the mosque was constructed by Mughal king Babur after demolishing a Ram Temple that originally stood there. Since then, several hearings have been held in the top court to resolve the issue.